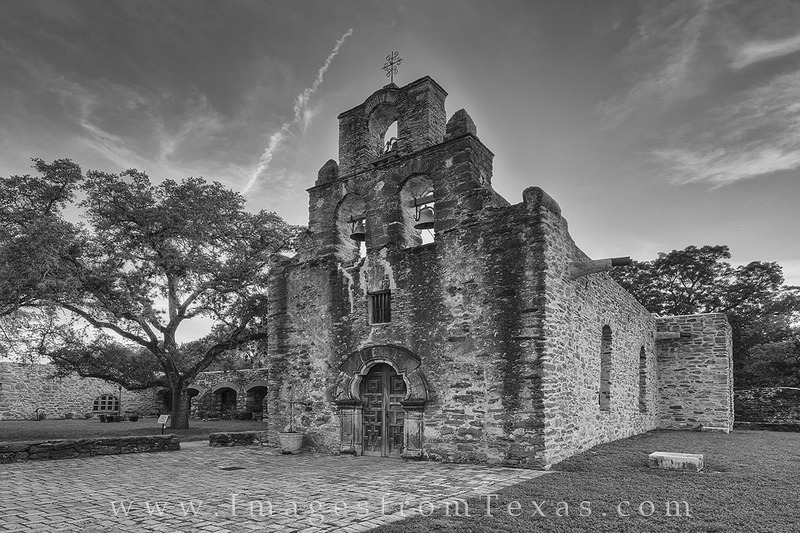 This summer evening black and white photograph shows Mission Espada from the San Antonio Missions National Historic Park. This mission was stablished in 1690, in Augusta but later moved to its present location near San Antonio’s Riverwalk. Photo © copyright by Rob Greebon.